A wide range of rare and exotic animals can be found here, ranging fromm massive python, Cheeky Capuchin monkeys to the cuddly rabbits. Snap a memorable photo with the albino python or admire the beauty of colourful parrots. Do come to Menara Kuala Lumpur and give your kids a treat with joyful pony rides.Dont forget to snap photos with these gentle creatures while giving them a pat! bite at the quaint little cafes available at Menara Kuala Lumpur. There is a culinary variety for everyone! Feel the exhilarating experience of driving an F1 race car at Menara Kuala Lumpurl The F1 race car simulators are both audibly and visually captivating. Warning! You will find it hard to stop once you are in the simulator. Now, everyone can be an F1 race car driver...Only at Menara Kuala Lumpur! WELCOME TO MENARA KUALA LUMPUR! Majestically poised at a breathtaking height of 421 metres, Menara Kuala Lumpur doubles as Kuala Lumpur‘s best known icon. Standing boldly atop Bukit Nanas Forest Reserve, it is the sixth tallest telecommunication tower in the world. Built to improve the quality of telecommunication and broaddcasting transmission, Menara Kuala Lumpur stands proudly as the symbol of Kuala Lumpur‘s, ‘The Garden City of Light‘. 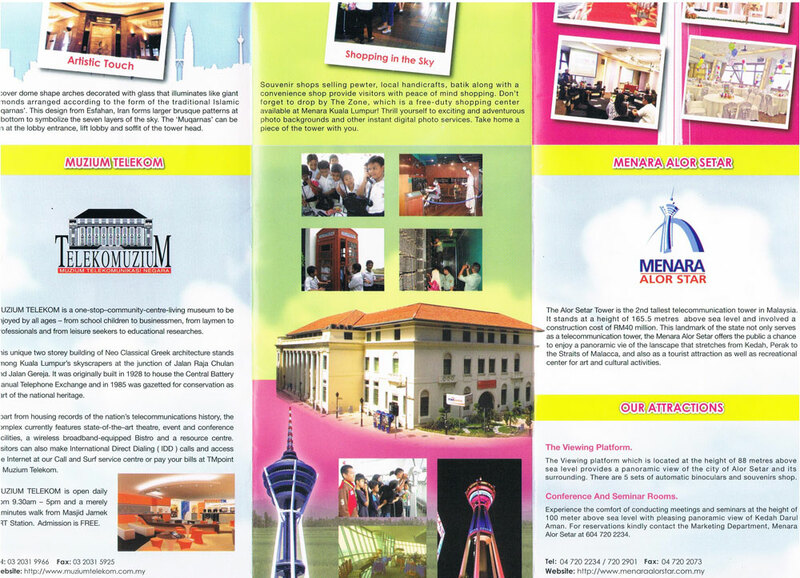 Menara Kuala Lumpur has a lot to offer from breathtaking views to top-class facilities, activities and events. It definitely has the right ingredients to please everyone. Come and see what it‘s like standing 276 motres above ground level for a once-in-a-lifetime experience with your family and friends! 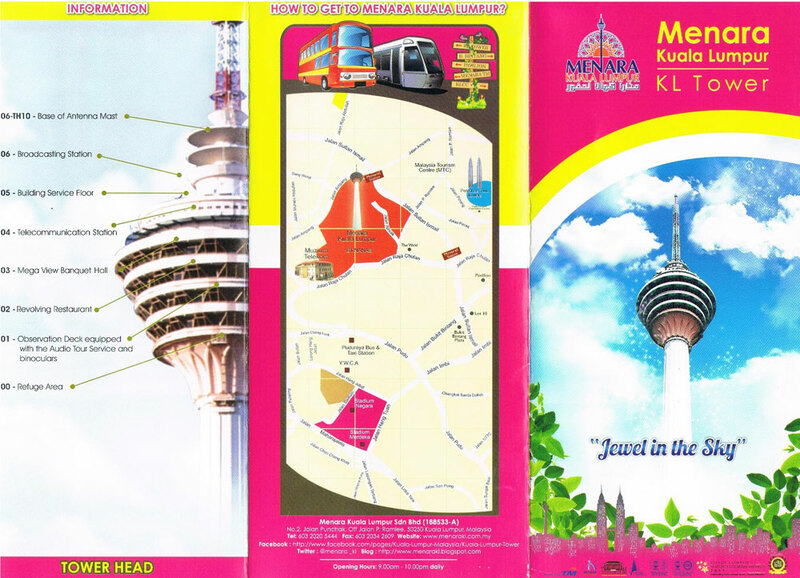 Menara Kuala Lumpur was completed in May 1996 and was opened to the public on 23 July 1996. 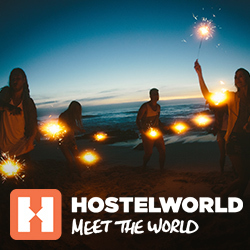 It was officially launched 1 October 1996 by Y.A Bhg Tun Dr. Mahathir Mohamad, former Prime Minister of Malaysia. Surrounding the tower is the Bukit Nanas Forest Reserve, an area of 9.37 hectares located in the heart of Kuala Lumpur City Centre. It poses as the oldest gazetted forest reserve in the country. The nature surroundings of Bukit las were cared tor during the construction of Menara Kuala Lumpur to ensure balance in development and conservation of the environment. A 11O-year-old Jelutong tree (Dyera Costolata) was preserved, where a retaining wall was constructed to protect the tree. Discover dome shape arches decorated with glass that illuminates like giant diamonds arranged according to the form of the traditional Islamic 'Muqarnas‘. This design from Esfahan, Iran forms larger brusque patterns at bottom to symbolize the seven layers of the sky. The 'Muqarnas‘ can be seen at the lobby entrance, lift lobby and soffit of the tower head. Set in a 21,840 sq feet area of the KL Tower Terrace, the 1 Malaysia Cultural Village offers visitors the rare opportunity of a walk-through Malaysia‘s unique replicas of traditional ‘kampung‘ houses in a village setting and front row view of Malaysia‘s cultural performances and other feats that depicts Malaysia‘s multi ethnic, multi cultural and multi lingual society, all under one roof! At 1 Malaysia Cultural Village, you will be entertained and thrilled by our spectacular traditional cultural performances and garnes. 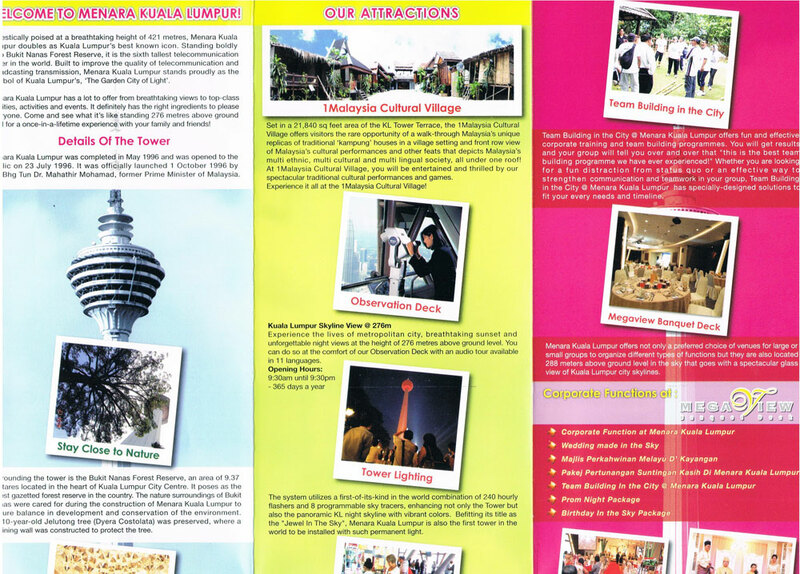 Experience it all at the 1 Malaysia Cultural Village! Experience the lives of metropolitan City, breathtaking sunset and unforgettable night views at the height of 276 metres above ground level. You can do so at the comfort of our Observation Deck with an audio tour available in 11 languages. 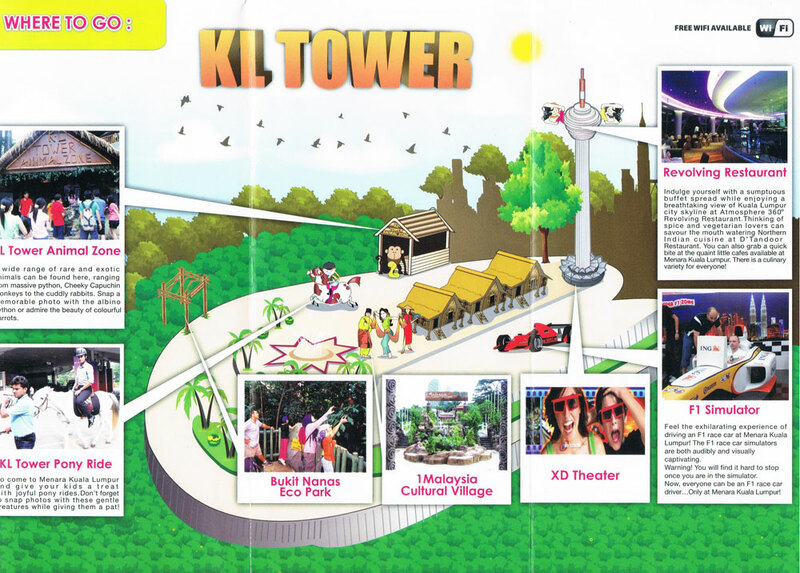 The system utilizes a first-of-its-kind in the world combination of 240 hourly flashers and 8 programmable sky tracers, enhancing not only the Tower but also the panoramic KL night skyline with vibrant colors. Befitting its title as the “Jewel In The Sky‘, Menara Kuala Lurnpur is also the first tower in the world to be installed with such permanent light. photo backgrounds and other instant digital Photo services. Take home a piece of the tower with you. Menara Kuala Lumpur offers not only a preferred choice of venues for large or small groups to organize different types of functions but they are also located 288 meters aboce ground level in the sky that goes with a spectacular glass view of Kuala Lumpur city skylines. MUZIUM TELEKOM is a one-stop—community-centre-living museum to be enjoyed by all ages — from school children to businessmen, from laymen to professionals and from leisure seekers to educational researches. part of the national heritage. Apart from housing records of the nation‘s telecommunications history, the complex currently features state-of-the—art theatre, event and conference facilities, a wireless broadband-equipped Bistro and a resource centre. Visitors can also make International Direct Dialing ( IDD) calls and access the Internet at our Call and Surf service centre or pay your bills at TMpoint Muzium Telekom. MUZIUM TELEKOM is open daily from 9.3Oam - 5pm and a merely 5 minutes walk from Masjid Jamek LRT station. Admission is FREE. The Alor Setar Tower is the 2nd tallest telecommunication tower in Malaysia. It stands at a height of 165.5 metres above sea level and involved a construction cost of RM4O million. This landmark of the state not only serves as a telecommunication tower, the Menara Alor Setar offers the public a chance to enjoy a panoramic view of the landscape that stretches from Kedah, Perak to the Straits of Malacca, and also as a tourist attraction as weil as recreational center tor art and cultural activities. The Viewing platform which is located at the height of 88 metres above sea level provides a panoramic view of the city of Alor Setar and its surrounding. There are 5 sets of automatic binoculars and souvenirs shop. Alor Setar at 604 720 2234.